CCleaner – System optimisation, privacy and cleaning tool. TeamViewer – Connect to remote computers, provide remote support. Google Chrome – Browser for accessing the World Wide Web and running Web-based applications. 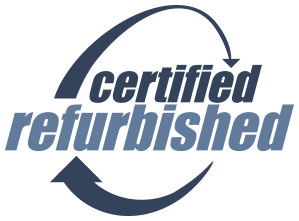 What is a refurbished product & what to expect when buying a refurbished item? All of our items are professionally refurbished and fully tested but may show some cosmetic marks or scratches. The item will be supplied in either an original box or a high quality brown box. If the item comes with a battery, it will be tested to ensure that it has charge. If the item comes with a charger included it may not be the original, but it will be tested and it will be the correct rating for the specific item.